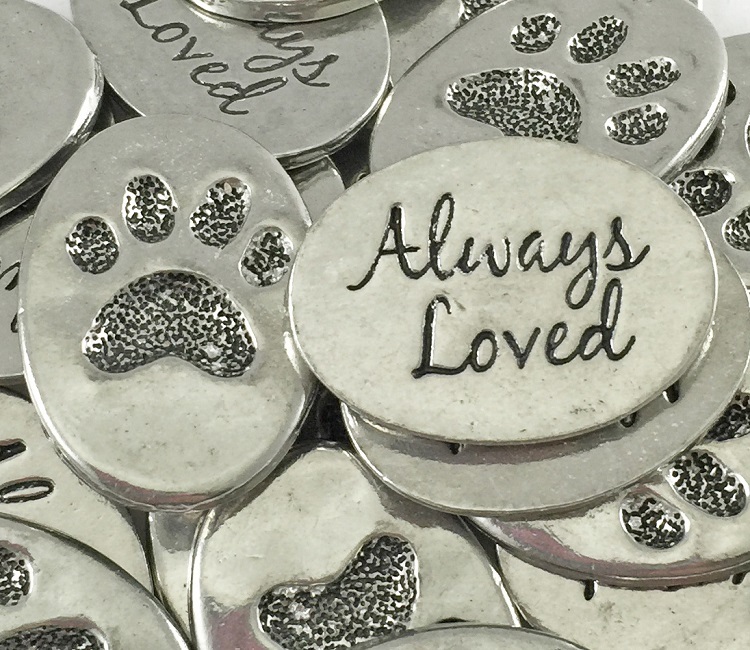 Paw print pewter inspiration coin has the words 'Always Loved' written on the back to represent the love for dogs, cats, and animals of all kinds . Coin measures approx. 3/4" x 1/2".